Hi everyone. 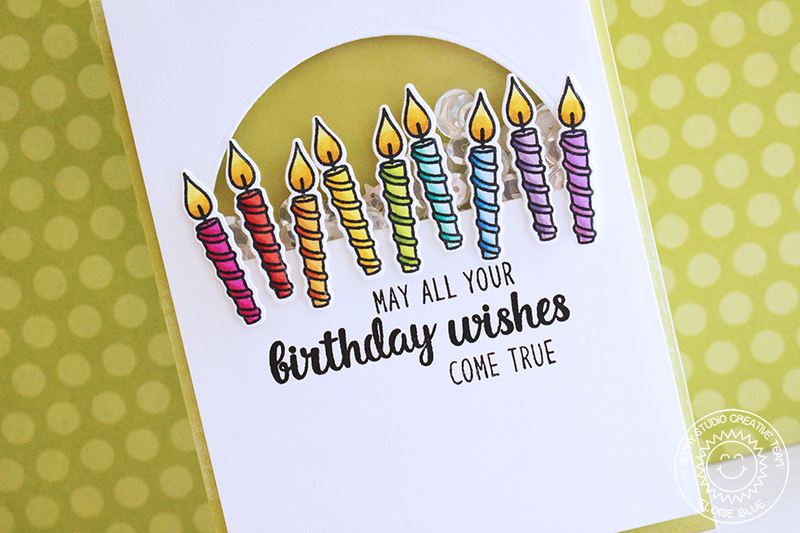 I'm up on the Sunny Studio blog today using the new Heartfelt Wishes stamp set to create a fun rainbow/shaker birthday card. Check out the blog post for more information on this card!